Douglas & Sons (Pvt.) Ltd. (DSL), Sri Lanka’s leading supplier of automotive batteries, launched its locally manufactured TOPWILL battery on 18th January 2019 at the ShangriLa Hotel in Colombo. 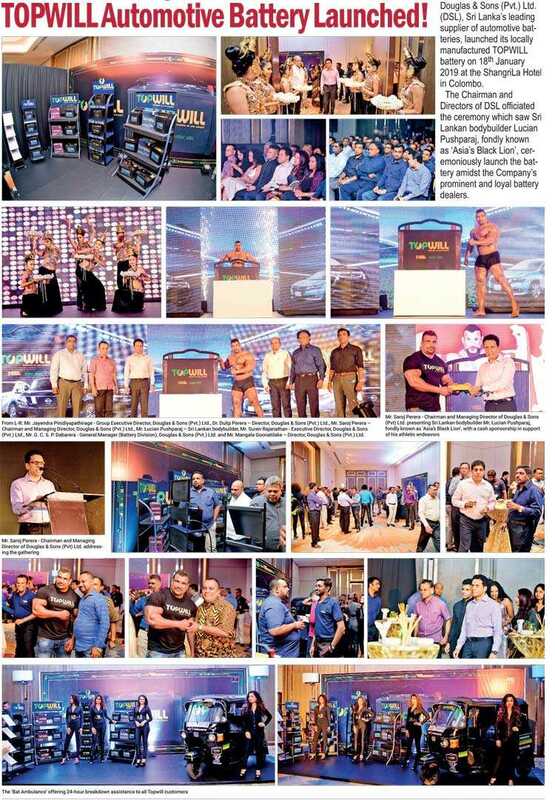 The Chairman and Directors of DSL officiated the ceremony which saw Sri Lankan bodybuilder Lucian Pushparaj, fondly known as ‘Asia’s Black Lion’, ceremoniously launch the battery amidst the Company’s prominent and loyal battery dealers.